Posted 10:36 am by Rebecca Worrall & filed under . Posted 11:30 am by Rebecca Worrall & filed under . This report has been compiled to provide an overview of financial wellbeing within a community justice context in Scotland. 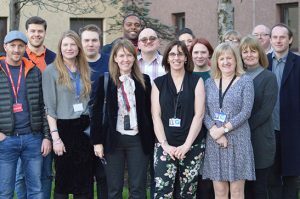 Engagement between Community Justice Scotland and the Improvement Service has highlighted the importance of understanding and improving the experience of people in our justice system in relation to their financial wellbeing. Read the full report here. Posted 11:44 am by Mairi Clare Rodgers & filed under . Reducing offending, reducing inequality (RORI) collates the health and social determinants of offending…..
Posted 10:30 am by Kate Brown & filed under . 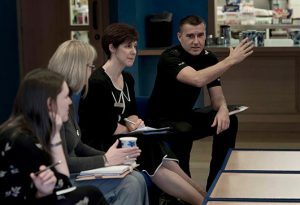 This evidence review was undertaken to support strategic thinking regarding what works to reduce reoffending. The aim of the review was to examine the research into reducing reoffending, the processes by which individuals stop offending, and the impact of the criminal justice system in these processes. Read more. Posted 11:19 am by Kate Brown & filed under . The final report by Glasgow Community Justice Authority. Fulfilling statutory obligations and marking the cessation of their duties. Download the full report. Posted 2:18 pm by Kate Brown & filed under . Posted 2:17 pm by Kate Brown & filed under .